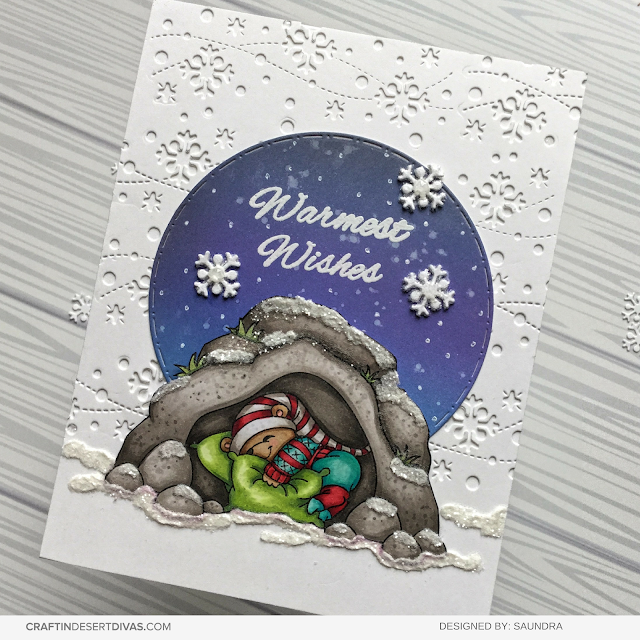 I am back to share another card from Craftin Desert Divas Bear Hugs Stamps and the new Snowflake Border Dies. I love how this sweet card came together and I hope you do too. To create this card I started with a panel of Neenah Solar White 80# cardstock and used the new CDD Snowflake Border die to die cut the beautiful snowflakes across 3/4 of my panel. I adhered the panel to my card base the is made with Neenah 110# Solar White. Next I took some Strathmore Bristol Smooth Cardstock and ink blended my panel with Distress Oxide Inks in the Tumbled Glass, Salty Ocean, Wilted Violet, Faded Jeans, and a little Black Soot. I spritzed it with a little water and picked it up with a paper towel. I hit it with my heat gun to make sure it was nice and dry then used CDD Stitched In Circles Dies to cut out my circle. For my sentiment I used CDD Chilly Stamps (no longer available) and heat embossed it using WOW! Super Fine Embossing Powder in Opaque Bright White. I added my die-cut circle to my panel. 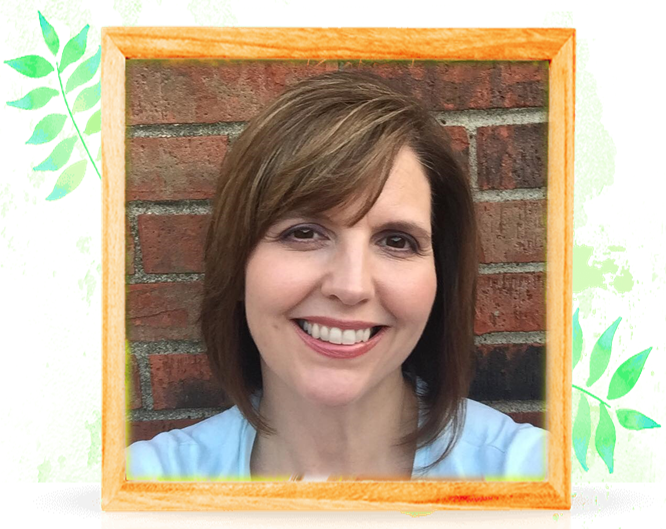 Now it was time for my focal image. 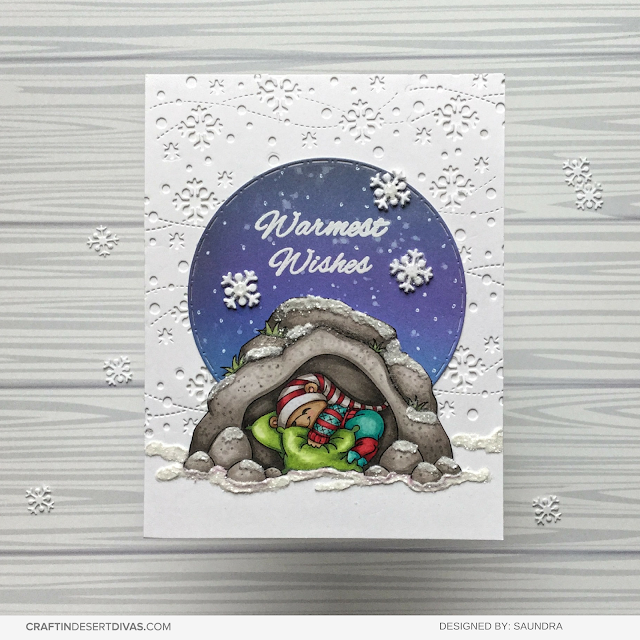 I just think this little bear from CDD Bear Hugs Stamps all cosy in his cave is the cutest!! I colored the image with my Copic Marker and fussy-cut it out. I added some Nuvo Crystal drops in Simply White. Instead making a drop I placed a bead of it on the different laces on the case and sprinted the areas with some Martha Stewart Coarse Glitter that I have had in my stash forever. I used my finger to press it into the Nuvo Crystal Drops. When I was happy with the look I added some foam squares to the upper portion of my cave and added a bead of glue to the bottom portion and added it to my card front. I added some more Nuvo Crystal Drops and glitter to the bottom of my cave and ground. My last step was to add a few of the snowflakes from the CDD Snowflake Border Dies around my sentiment that had been glittered and some additional snow in the sky using my White Gel Pen. 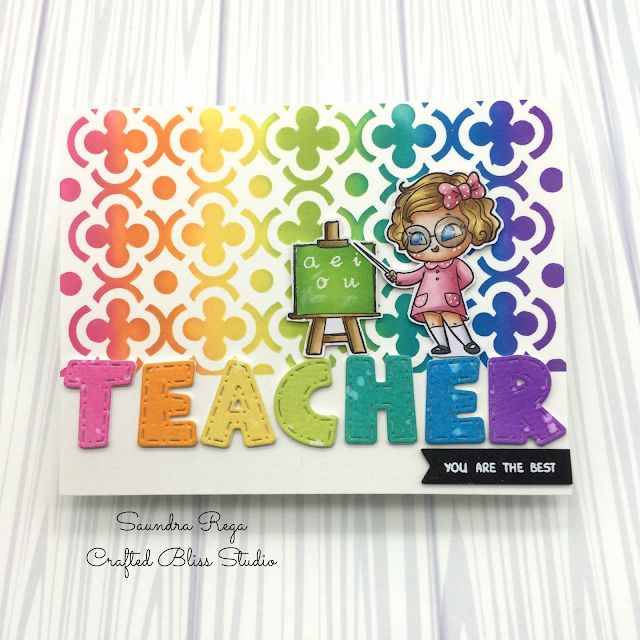 I just adore the way this card came together! 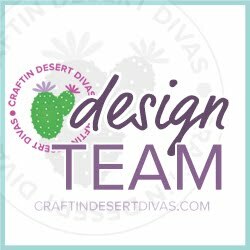 Be sure to head on over to the CDD Shop to grab all of the new products!